This may come as a shock to most of our readership simply because the vast majority of you young shredders out there have never even seen The First Clover, or were not very impressed by it when you did see it, but The First Clover DVD and DVD trailer both played an important role in the progression and history of freestyle scooter riding. The First Clover was essentially one of the very first freestyle scooter DVDs to ever be released to the public, much like Lucky Scooters was one of the first aftermarket freestyle scooter brands. Although it wasn’t necessarily the most progressive scooter riding that the sport had ever seen up until that point, it still represented what people were fully capable of on a scooter, as well as, what the industry was capable of achieving as a whole. The First Clover also did an excellent job of capturing a specific moment in freestyle scooter history because at that time in the sport people were approaching the entire concept of scooter riding from a completely different perspective than they do today. For example, back then scooter riders would ride whatever whenever, which essentially means that they would ride any obstacle that you put in front of them simply because it is readily available to them. However, now a days it seems as though all of those simplicities have become a lot more complex and political, which is one of the down side’s of our sport’s progression. Before the official DVD was released, the Lucky Scooters team of remarkably talented riders released a trailer/teaser in order to promote the selling of the DVD. However, in the grand scheme of things, it almost seemed as though the trailer made a much larger impact on the freestyle scooter community at large than the actual DVD did. The trailer was extremely well edited and jam-packed with plenty of banging scooter tricks, which is exactly what the freestyle scooter community wanted to see. On top of that, it wasn’t discriminatory towards Skate Park riding or street riding in the way that a lot of video projects are today because as I mentioned before, scooter riders back then were simply just shredding for the sake of the shred. The First Clover DVD trailer also somehow managed to rack up a whopping 750,000 views on the Lucky Scooters YouTube channel, which really proves just how significant this video was. Anyways, both The First Clover DVD and the DVD trailer really laid the groundwork and paved the way for a lot of young scooter riders, who were just getting started at that time, so be sure to check out the trailer, and also the DVD too, if you ever somehow manage to get your hands on a copy. 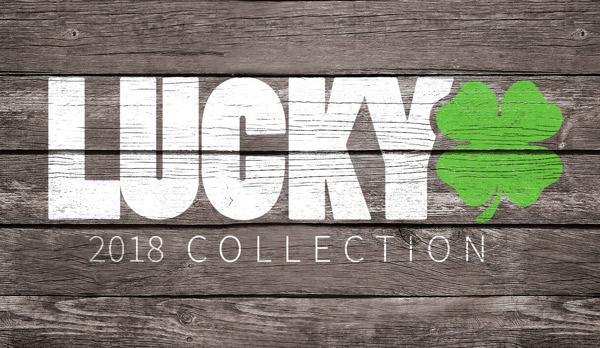 Also, be sure to stay tuned right here at the Lucky Scooters blog for more superb Lucky Scooter related articles and content, along with any and all other Lucky Scooter related news and updates.